Pakistan captain Sarfraz Ahmed has apologised on social media after receiving flak for racist comments on South Africa’s Andile Phehlukwayo during the Centurion ODI on Tuesday. 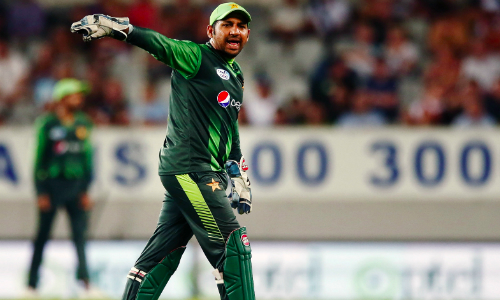 Sarfraz, however, took to his official Twitter handle to release a statement, apologising to fans as he claimed his comments were not directed to a particular person. “I wish to extend my sincere apologies to any person who may have taken offence from my expression of frustration which was unfortunately caught by the stump mic during yesterday’s game against SA. “My words were not directed towards anyone in particular. “I certainly had no intention of upsetting anyone. I did not even mean for my words to be heard, understood or communicated to the opposing team or the cricket fans. Meanwhile, the International Cricket Council (ICC) is currently probing the matter, following which Sarfraz could face a certain punishment.